Everyone feels overwhelmed with life at times and our important relationships – with our partner, family or friends – can suffer. We all want successful and rewarding relationships. But having difficulties and challenges are also normal parts of sharing your life with others. The way we deal with these challenges will affect our relationships. Sometimes, it is difficult to talk about issues and you may need outside help to resolve problems and ensure your relationships stay healthy and strong. There is a lot of support out there, but narrowing it down to find the best option for you and your family can be really difficult. We can help get you on track. CatholicCare provides a range of courses. Our programs consider how we behave, why we feel certain emotions and why we respond the way we do. We offer lots of practical tips on how to improve relationships. If you have any concerns or could simply do with a refresh, reach out to see what we have to offer. We find the sooner you act on issues, the easier they are to resolve. Some relationships involve violent behaviour and abuse. If you suffer any form of violence, seek help immediately. More information about our Domestic & Family Violence services can be found here. Crisis Support contact information is here. You may also be interested in our Counselling and Family Dispute Resolution & Mediation services. Please click on the down arrows on the right below for more information about our Relationship Support programs. Designed to help new parents prepare for life with baby. Learn how to strengthen your relationship as a couple and how to promote healthy social and emotional development in your child. This is a group program held over two sessions. A fortnightly group for women who have experienced domestic and family violence. Inspire assists women in developing new personal networks, regain confidence, manage emotions and build self-compassion in a fun and supportive environment using art therapy and other techniques. Looks at parenting issues confronting men in Australia. We explore the challenges of fathering with topics like child development, communication, dealing with strong emotions, discipline, self-esteem, healthy relationships and domestic and family violence. Parents love their children and want the best for them. Following separation, parenting often gets much tougher. This is a 5 week course for separated parents who are experiencing ongoing conflict. It is designed to assist parents to see separation through their children’s eyes and provides tips on how to support children through separation. We offer two marriage preparation courses, available in both religious and non-religious formats. These responses are then compared, with areas of strengths and areas for growth highlighted and discussed in feedback sessions with an accredited Relationship Educator. FOCCUS pre-marriage education is not counselling. It is not a test that a couple ‘passes’ or ‘fails’. It is designed to provide an understanding of what you and your partner will bring into your marriage. Cost: $350 per couple. 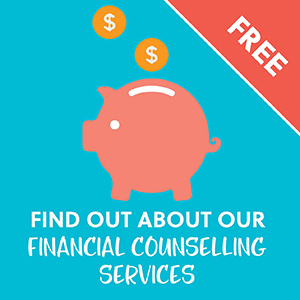 Based over two sessions, FOCCUS is offered at our Waitara, Naremburn & Brookvale Centres. 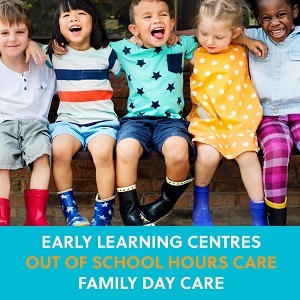 All bookings are made via our Waitara Family Centre. For over 30 years, PREPARE ENRICH has helped couples strengthen their relationships. It has empowered and energised more than 3 million couples! The main component of the program is an online survey which identifies the unique strengths and potential growth areas in your relationship. You’ll meet with a facilitator trained to provide feedback by helping you understand your results and you’ll learn important relationship skills. Built on a solid research foundation, PREPARE ENRICH has been improved and refined over the years to become one of the best, most effective, easy-to-use relationship assessment tools available. This program is available at our Waitara Family Centre only. Cost: $350 per couple. Looks at issues relating to the impacts of domestic and family violence. Topics include identifying violence, the law, the impact on children and on self-esteem, communication, anger and sadness, recognising healthy relationships, stages of change and how to move on. Assists women who have experienced domestic and/or sexual violence. Shark Cage teaches women their rights, improves awareness of abusive behaviours and how to identify and respond to such behaviour, and ways to decrease the likelihood of domestic/family violence happening again. the future. You will meet other women in a similar situation.